Websites are the best possible means to make people take your business seriously and to be in control of what you offer. However, the technical know-how needed to build a website coupled with the cost doesn’t make it easy for anyone to build a website. 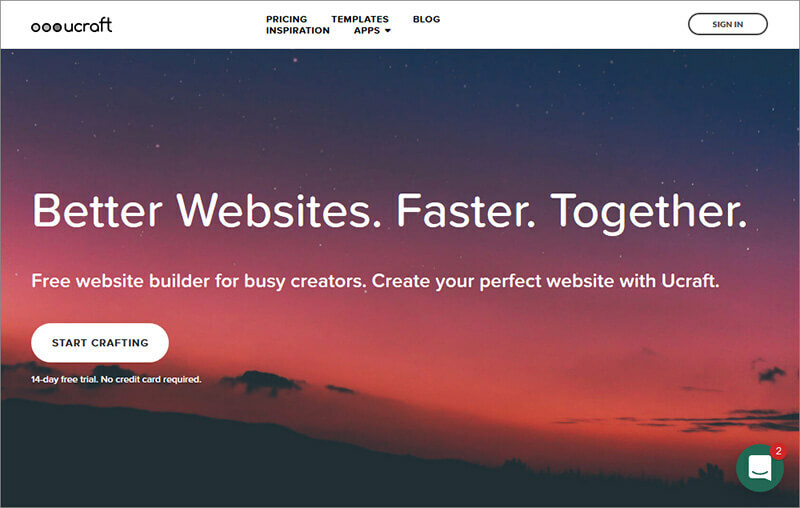 And while it may not be easy to come across free features that may be worth their salt, there are still a few easy website builders available to help you come up with something respectable while starting out. These are especially useful and helpful for small businesses starting out on their own. 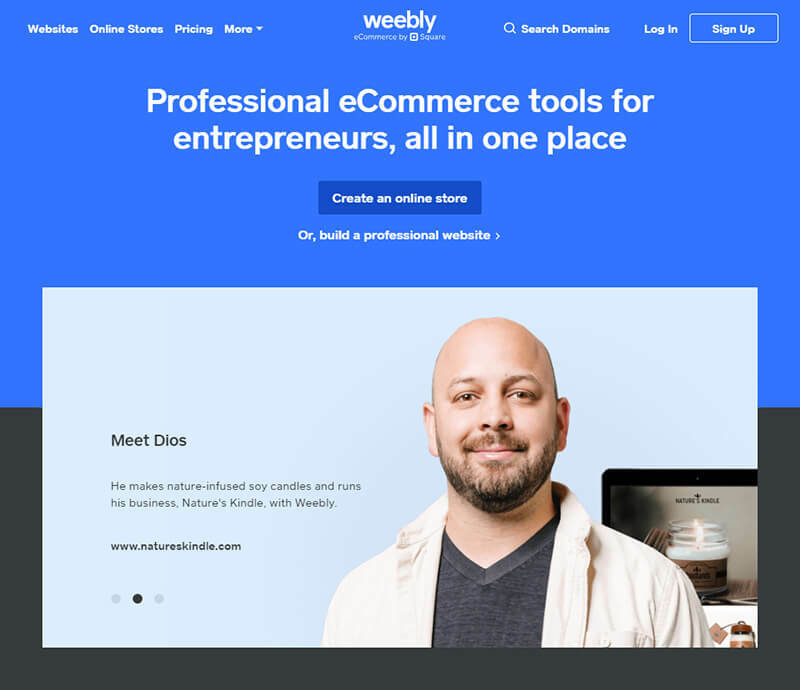 Its unlimited bandwidth, a solid subdomain, and ease of use make Weebly pretty much the easiest website builder for free right now. It also features the best e-commerce features for those low on budget. And what makes it cooler is that in spite of being free, it allows additional integrations and functionality from its App Centre, so that you can design your website with considerable independence. Like most free website builders though, Weebly comes with ads that may scroll along with your page. While this may be a bit irksome for some, it is sort of balanced by the huge options that it offers to connect with a large range of payment providers. Wix comes very close to Weebly in terms of being the easiest website builder out there right now. 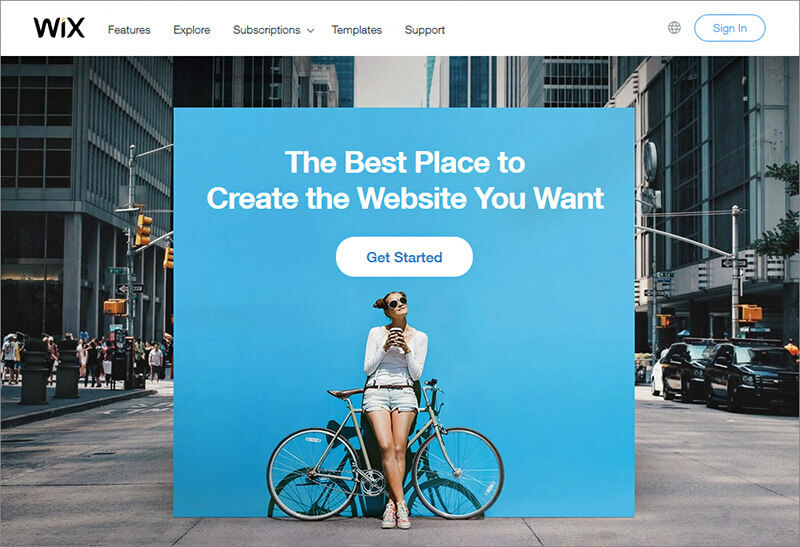 What makes Wix have an extra edge over most website builders is its easy drag and drop functionality, a large number of features covered under the free plan, its wide range of templates, and the ease of customization. Also, you won’t be pestered with ads, though of course you also won’t be able to sell products. However, it does not allow unlimited bandwidth in the free plan, meaning that if you have too many visitors, your website might shut down. 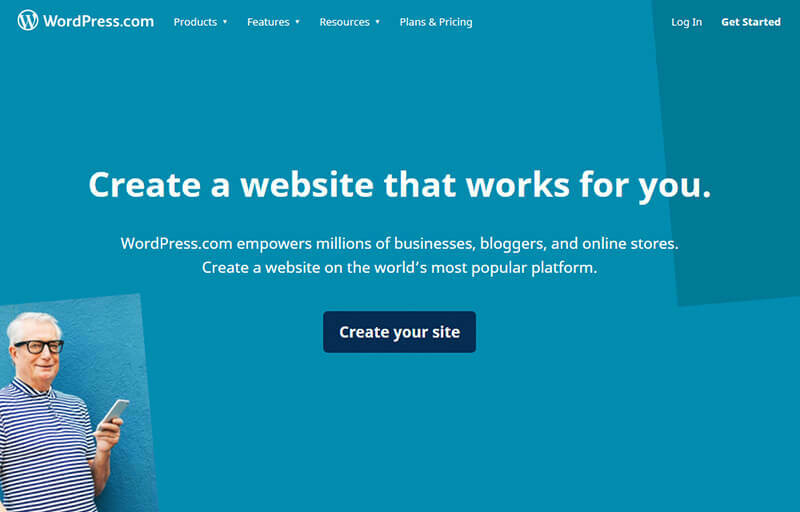 This is that one feature that deters many from using it as a free website builder. Also, you can’t modify the templates once your site is published. What contributes to the immense popularity of UCraft is the ability to connect a custom domain name even in the free plan. The only other website builder to allow this feature is Google Sites, which however isn’t the best for small websites. And in case you don’t want a custom domain name, you are free to use UCraft’s solid free subdomain. The ad scroll which comes with the free plan is much smaller than that of Weebly. UCraft, however, is the best for those building free landing pages. This is because it allows just one page in its free plan, which is its major turn off. But because it comes with a wide range of templates, combined with its other cool features in the free plan, it is really popular among those wishing to pay special attention to their landing pages. Strikingly is not only among the best easy-to-use website builders around, but it is also very good for those without much knowledge of how to use websites. This is because of the 24*7 support group which comes even with the free plan, making Strikingly unique among all the free website builders. Originally a tool to build one-page websites, it is still popular for that purpose. Also, Strikingly has a free bandwidth worth 5 GB, which is considerable when compared to some of the other free website builders like Wix. 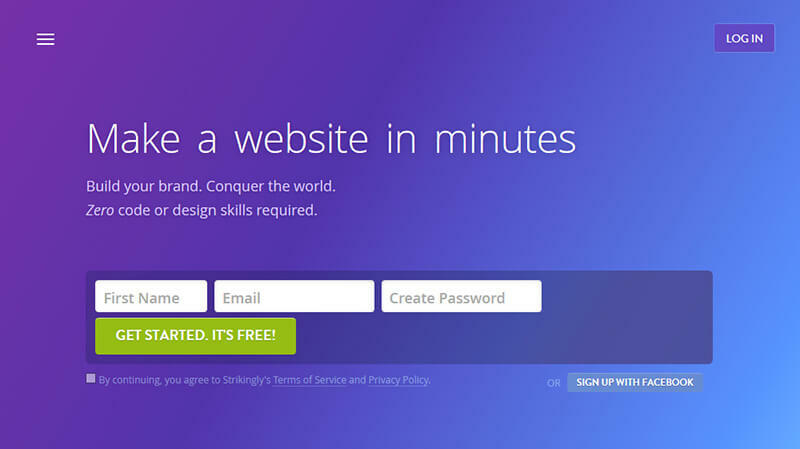 While Strikingly is one of the few free website builders to allow free e-commerce, that is limited to only one product. Also, there is a limit to editing the templates on offer. However, Strikingly is still among the best free website builders on offer for basic blogging. WordPress has been around for a long time now, and there is nothing more popular among bloggers than WordPress right now. A large number of beautiful templates coupled with almost an overabundance of features like analytics, comments, search features, display categories and a lot more make it the favorite among independent bloggers who cannot or may not want to pay much, or in fact anything, for their blog. However, those without any knowhow of technology may find WordPress a bit difficult, though by now there are zillions of support groups out there to help people get along with this. Also, this may not be the best option for those wishing to build something other than a blog, come as it may with the support of WordPress.org. Website building is not easy at the end of the day, especially if you do not know how to code. So free easy website builders notwithstanding, it is best to have some expert advice while starting out on your venture to make your business successful online. thanks .. i like the content ! !